Outgrown your shared host? Is your web site outgrowing the typical shared environment, yet you're not ready to make the commitment to move to a dedicated server? 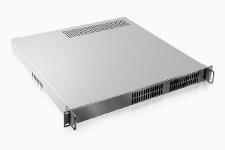 Jump into a semi-dedicated server which is limited to only 20 customers per server. This means that your site will have the resources it needs available 24 hours a day, 7 days a week. We have started offering this limited user server for the purpose of high usage sites such as those running large VBulletin forums and others. 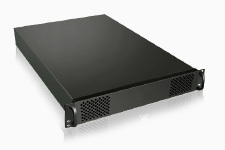 We have limited this type of server to only 8 users per server. If you find yourself with a large forum with 150 to 300 users online at any given time, then this is the server for you! This is a fully managed server by Real Web Host. Affordable, Lots of Bandwidth, Fast! 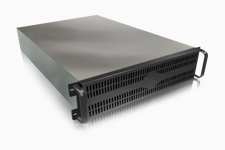 If your site is a little more demanding, you can have a server all to yourself. You get a dedicated server on a first class network. Your server will have redundant Internet connections and uninterruptible emergency power supply to safeguard your data 24 hours/day, 365 days/year. Fantastico installed for an annual fee of $70.00. Once we receive your confirmed order, server setup will take approximately 1-3 days.The new server would be fully managed. That includes a monthly check over to ensure that it is running optimally, and we will reboot, etc. upon request. We also do all security patches, kernel, cpanel, apache, PHP, Mysql, Perl. If you would prefer to pay for technical support per hour, this can be arranged at a cost of $75 per hour. On both the hourly and the Managed service, work is confirmed with your contact before it is carried out. Paid support would be for speciality software installs and repairs to the server and or files if needed based on changes or modifications made by your company. Dedicated servers will give a 30 day cancellation notice on all dedicated servers. expected to pay additional month after the 30 day notice to retrieve files.